We're thrilled to have launched our brand-new Servium website. Please feel free to explore and remember that we welcome any of your feedback. Servium is a leading IT solutions provider based in the UK. We’re dedicated to creating great IT experiences – we seek to win the hearts and minds of IT strategy-makers, professionals, and users. Our attitude is that no challenge is too big, no detail too small. We tackle both the ordinary and the extraordinary with the same focus and originality of thought that ensures our IT solutions make a difference. The first step to finding a solution is to thoroughly understand the challenge you face. Whether you’re looking for relief from a technical issue or to transform how your business works, you’ll want an expert at your side who offers experience and innovation. We cut through the noise and get down to the business of identifying which parts of your IT a possible solution will impact. Thankfully, we’ve got a wealth of experience in all the fundamental building blocks that make up your complete environment. To provide great solutions, we use unbeatable technology. From world-leading manufacturers and cutting-edge pioneers, you’ll experience the best that modern IT has to offer. Matched by our extensive Services Ecosystem, the best technical know-how is ready when you are. The mode of delivery is critical to the success of your IT. Juggling what parts of your environment stay physical, what gets virtualised, and what could benefit from the cloud isn’t easy. We help you chart a course to what will work best. We can take your solution all the way from concept to conclusion. It’s valuable reassurance that at any stage of your project you can call on our help to pick up the slack or take the lead. Tech Wars is back again for 2019 and promises to be bigger, better, and bolder than ever before! 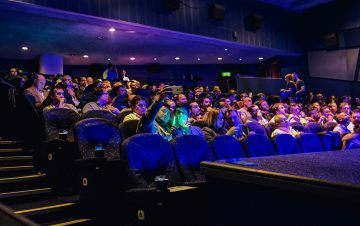 This year we'll be celebrating the release of Star Wars: The Rise of Skywalker while hearing from our industry's world leaders and learning about the latest ground-breaking technology innovations. 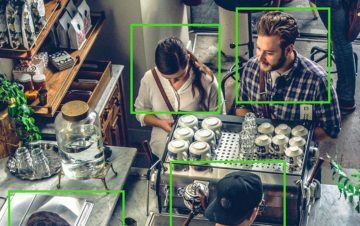 We believe Meraki Vision is the next step in harnessing the true power of your visual data. Check out our comprehensive list of 5 reasons why. 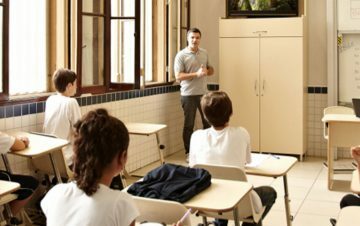 Meraki’s simple CCTV solution is ideal for schools and wider education, giving teachers peace of mind that the learning environment is always safe. If you would like to receive even more great Servium content, sign up to our mailing list. We’re proud of the service we provide to our customers, so we let them do the talking. See how we’ve been rated by those who’ve experienced us first-hand. 100% of all the customers we surveyed would recommend us! We couldn’t ask for a better commendation. We’re not happy until you’re completely satisfied with our service. Amazing customer service is at the heart of everything we do. That's why 77% of our customers rated us 'excellent'! We believe better service means happier customers. Our dedication to you is what sets us apart. We’re proud of the incredible team we’ve assembled. They’ll take excellent care of you. Our experts are ready to help transform your IT. We really do know our stuff. Are you as happy with your IT partner as our customers are with us? Looking for excellent service? Look no further. Never settle for less when it comes to your IT. We pride ourselves on a certain standard of service. How much trust do you put in your Account Manager? Servium is a UK-based IT solutions provider that medium to large organisations rely on to provide specialist IT services, support, and solutions. Everything we do is focused on delivering great IT experiences for users and IT teams alike. By working closely with you throughout your whole IT journey, we ensure your IT is always ready to support the ambitions of your business. We offer access to a world-class community of vendor partners, and unequalled breadth and depth of technical resource through our Services Ecosystem. Our customers therefore enjoy the best innovation, latest thinking, and unrivalled technical know-how.